Star Home Remodeling sets itself apart from other home remodelers in Plano, Texas, by serving as a one-stop shop for full-scale kitchen remodels and bathroom makeovers. We are also able to design and build custom home additions, such as in-law suites, master bedrooms, guest rooms, and other spaces. Furthermore, we can provide you with the beautiful and long-lasting products you desire. 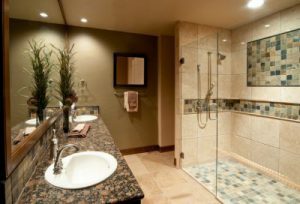 This can be anything from a soaking tub to custom cabinetry. Additionally, we can incorporate unique features like a one-of-a-kind fireplace to create a special space that is truly your own. Do you want to learn more about why we are the Plano, TX, area’s go-to home remodelers? Contact Star Home Remodeling today. We’ll be delighted to answer any questions you have and schedule you for a design consultation at our showroom or your home.